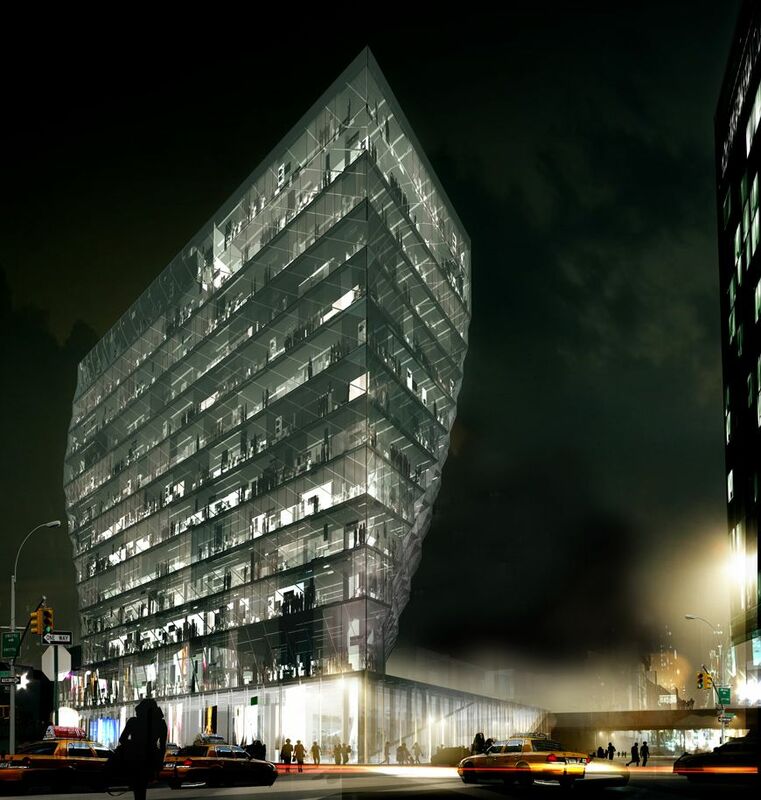 But the legal path to realizing that faceted glass facade had some unexpected kinks of its own. The Greenwich Village Society for Historic Preservation (GVSHP) was “thrilled to report” that the building’s developer withdrew their application for a zoning variance for the building. At 213 feet tall, the tower would have been 34 percent larger than current zoning allows. 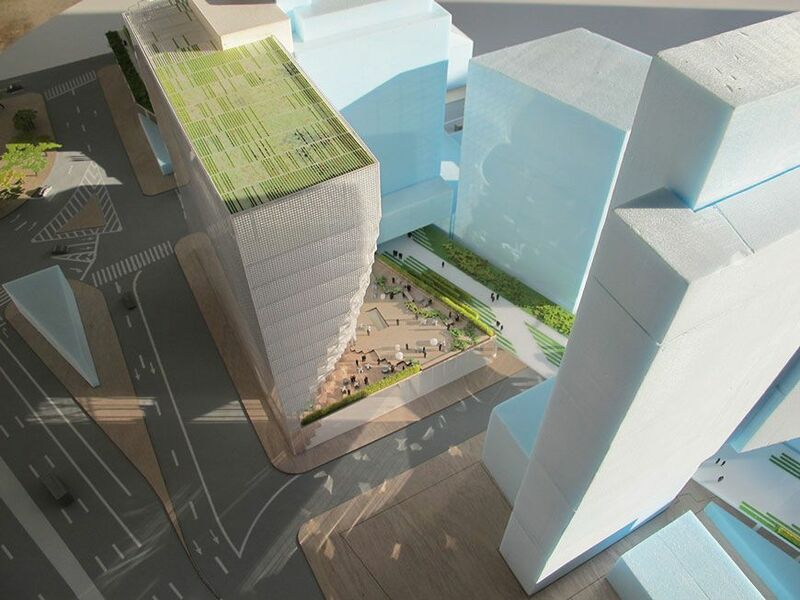 After a few appearances before the Board of Standards and Appeals, the project’s land use attorney told the New York Observer that the zoning request had fallen flat. The developer, William Gottlieb Real Estate, is apparently moving forward with a modified application, but for now the project remains blocked. 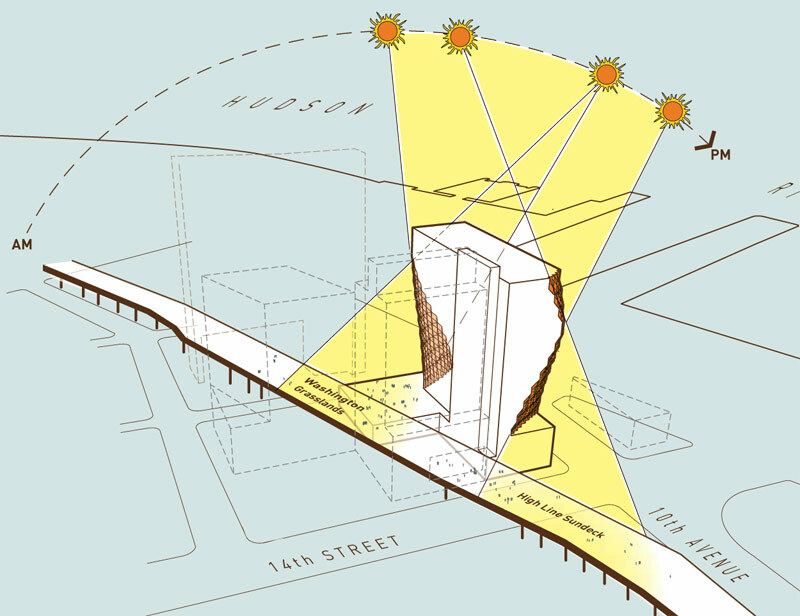 The High Line intersects the site, which is currently an empty meatpacking plant. 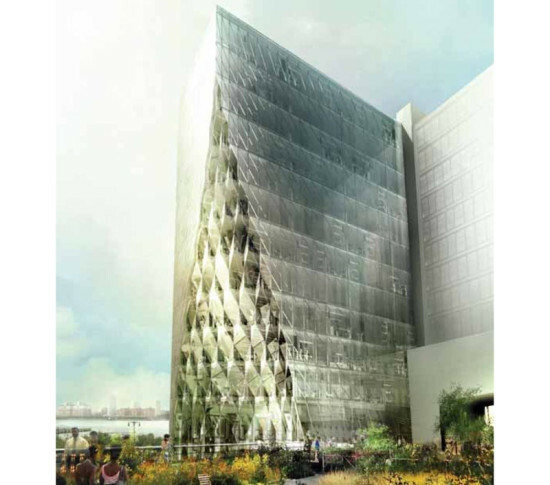 Gang’s design placed the tower near the Hudson River, abutting the High Line. GVSHP contested the developer’s position that sandy soils and the High Line’s proximity constituted a “hardship” worthy of a zoning variance. The 186,700-square-foot office tower was planned to open in 2015. 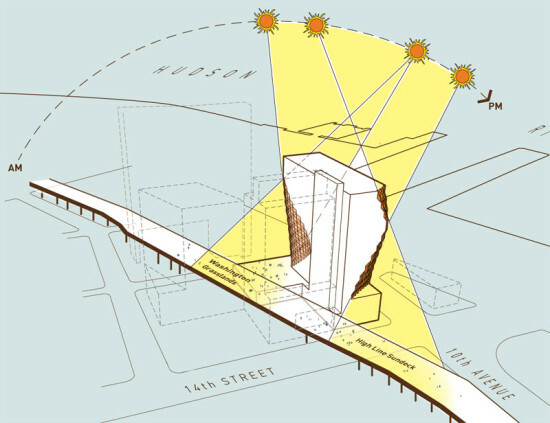 If a revised application seeks different setbacks, the “Solar Carve” tower might meet less resistance from neighborhood groups.